1 Bedroom Upper Floor Flat For Sale in Wells for £264,950. STAMP DUTY PAID by the developer if completion takes place by 31st May 2019. NEW HOME! Home 31 is a Second Floor beautifully finished one bedroom apartment complete with CARPETS, CURTAINS and FIREPLACE set within this attractive development, brought to you by Churchill Retirement Living. 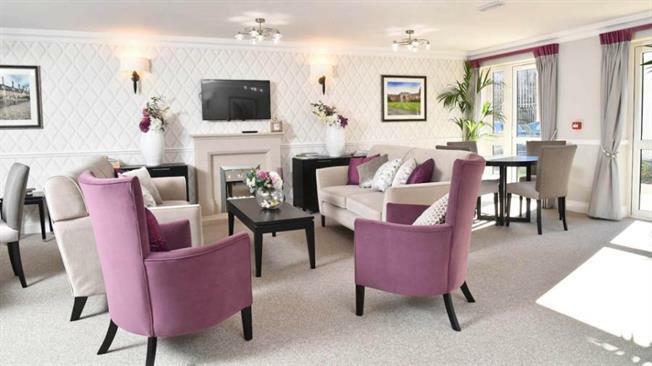 This development of 31 one and two bedroom retirement apartments is centrally located in this historic city, and with so much nearby, they wont be around for long! A short distance away are cosmopolitan pavement cafes, specialist independent retailers and high street names along with the twice-weekly outdoor market. Already 50% sold; make your appointment to view this stunning development today. The apartments come with tiled shower rooms as standard, while some of them have separate en-suites and cloakrooms as well all designed for ease of use and with the needs of our customers in mind. Wells lies sheltered beneath the southern slopes of the Mendip Hills, and combines a wealth of historic interest and beautiful architecture. Wells qualifies as England's smallest, and Somerset's only, city. The beautiful city of Wells is named after the springs (or wells) which rise within the grounds of the Bishops Palace. The medieval lanes within the city contain original unspoilt buildings, while the water supply, granted by Bishop Bekynton to the town in 1451, still gurgles down the sides of the High Street. Wells City Council is housed in the lovely Grade II listed Town Hall, (a popular venue for weddings and events) close to the stunning moated Bishops Palace and iconic Wells Cathedral. Bustling markets are held twice weekly in the historic Market Place, continuing a tradition dating back nearly 900 years, to when Wells was granted weekly markets in the citys first charter. Within 25 miles you can visit many attractions which include the famous caves at Wookey Hole, Cheddar Gorge & Caves, Glastonbury Abbey and Glastonbury Tor, Stourhead, Muchelney Abbey and the Fleet Air Arm Museum. The beautiful variety of landscapes ranging from coastal scenery, the Mendip Hills and Somerset Levels provide a wonderful playground for all sorts of activities including walking, cycling, horse riding and nature watching.